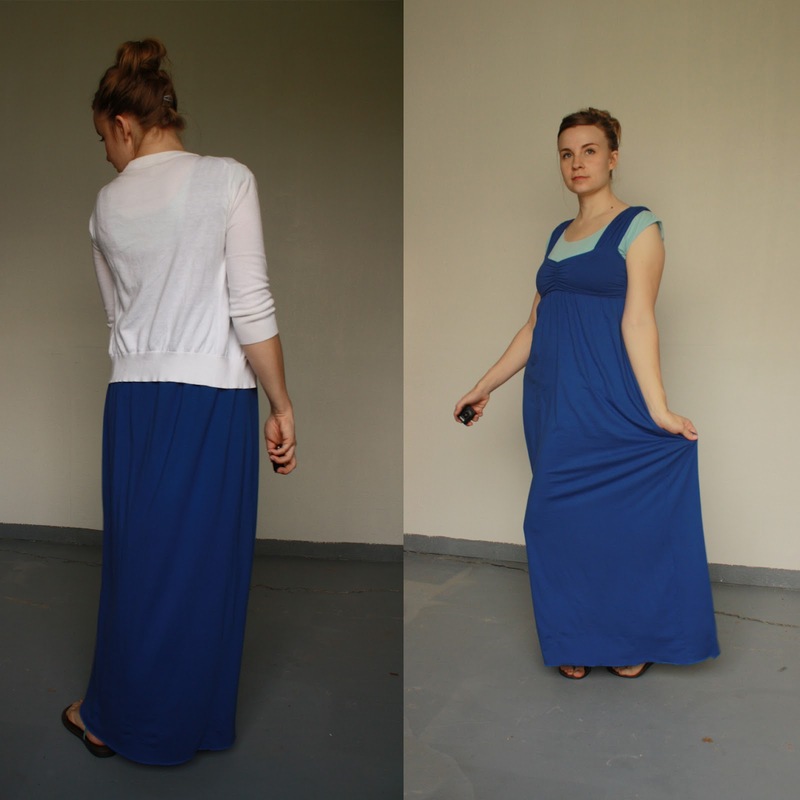 Jem Apparel, a long time sponsor, sent me this beautiful cobalt blue wide-strap maxi dress a few weeks ago. This is my first maxi dress, and after living 6 months in a hot humid climate, I can tell you it won't be my last. The bust is a wee bit small for the enlarged size of my nursing bust, but other than that, I seriously adore it. Due to the hot and sticky nature of my climate, I will probably be altering the neckline and sleeves so layering is not necessary when the summer heat is upon me. Are you a maxi fan? Any styling tips you want to share? And make sure to check out all the goodies at Jem Apparel! Love that color on you! 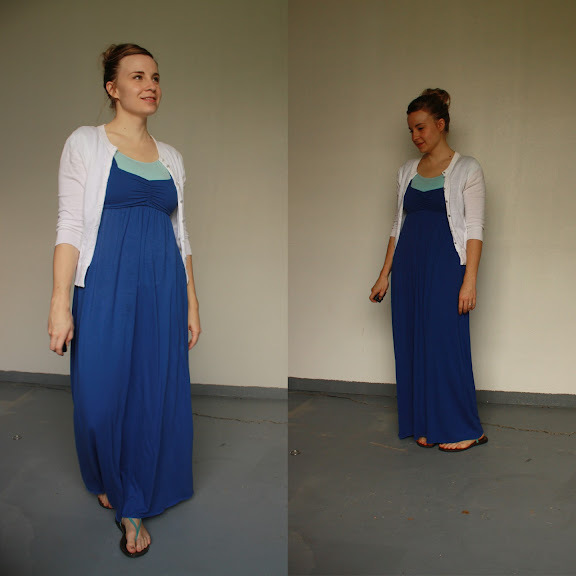 Last summer I bought a demi-tee from DownEast and it is fantastic for just this kind of dress (and for nursing). Love it! Isn't it sad to be gearing up for summer in February? I really like this dress. I think it looks great on you! Maxi dresses are so easy and chic. I am a HUGE maxi dress fan. It's so easy to layer, belt, etc. Love the cobalt blue. That is darling. I am totally with you on making things so you don't have to layer them. You're making me think I could possibly be brave enough to try a maxi dress.